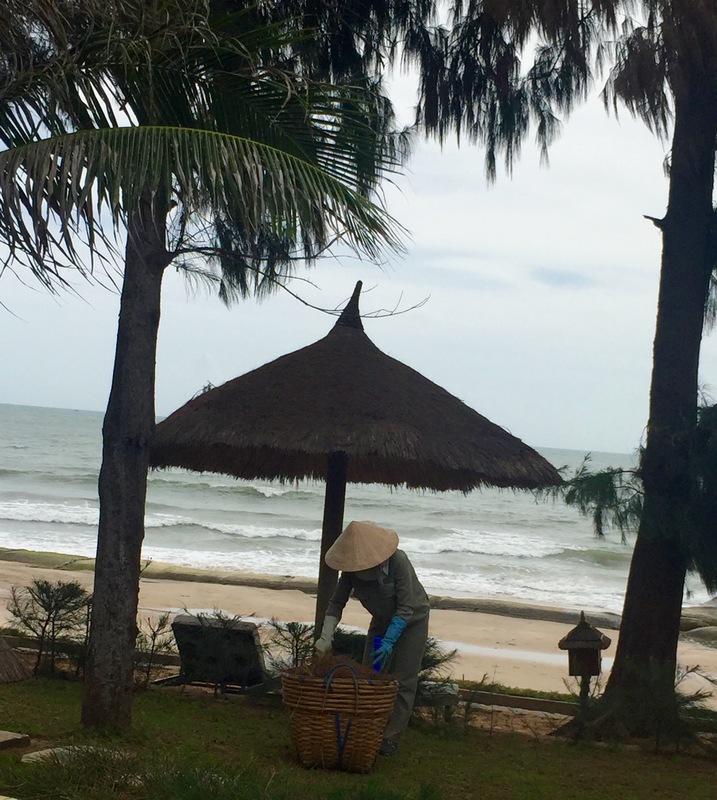 Continuing my series of Where to Stay, today we’re in Phan Thiet in Vietnam. 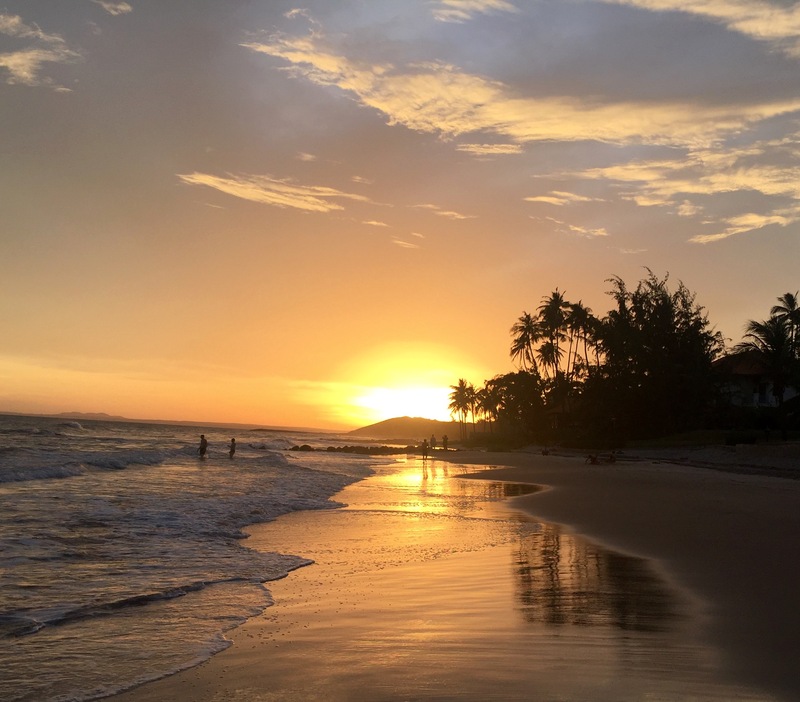 Phan Thiet is a coastal city in south-east Vietnam, a four to five hour drive from Ho Chi Minh City airport – sounds long but it’s totally worth it when you get there. It’s the capital of Binh Thuan Province with a population of around 300,000 and is actually only 200km from Ho Chi Minh City. 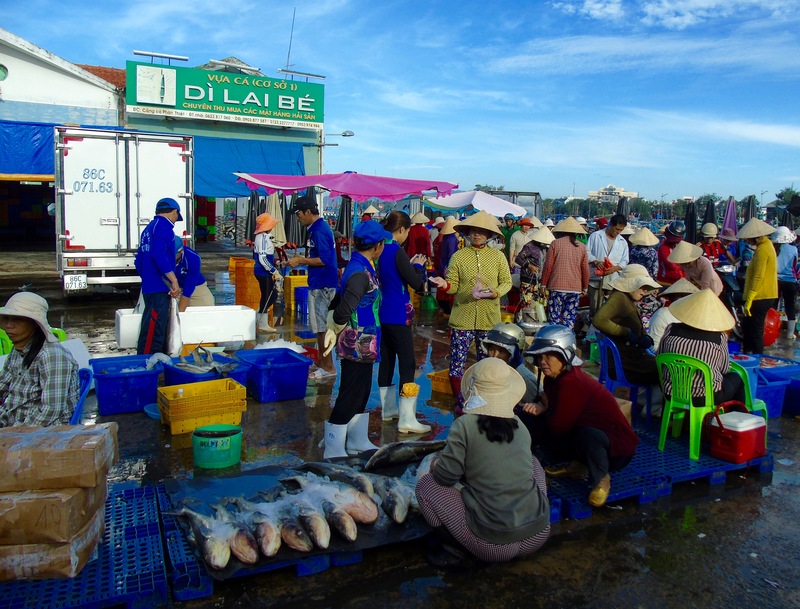 At its centre is a bustling little fishing port and an amazing market. 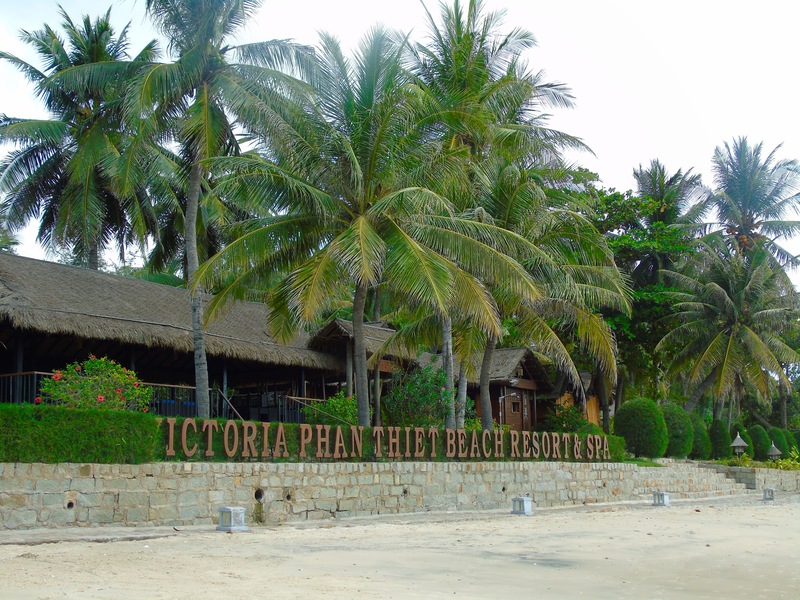 The Victoria Phan Thiet Beach Resort and Spa is outside the centre in the beach resort area of Mui Ne. There’s a long palm-lined stretch of sand with plenty of watersports and a strip of hotels, restaurants and shops alongside it. 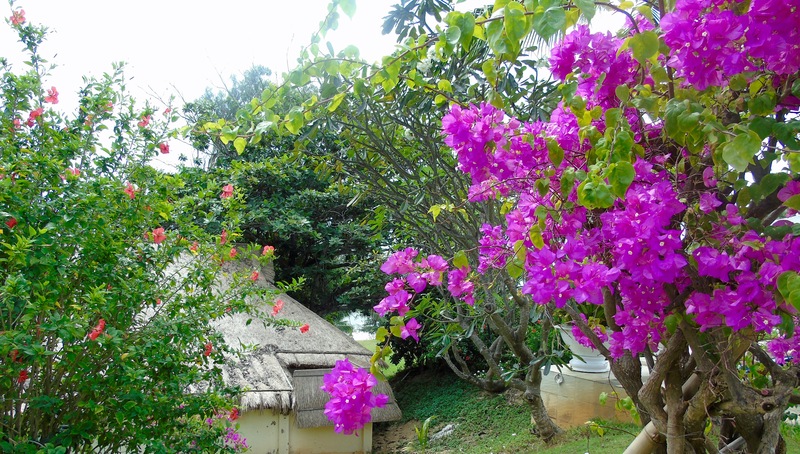 The hotel is laid out through beautiful gardens and is built in the style of traditional Vietnamese country houses. 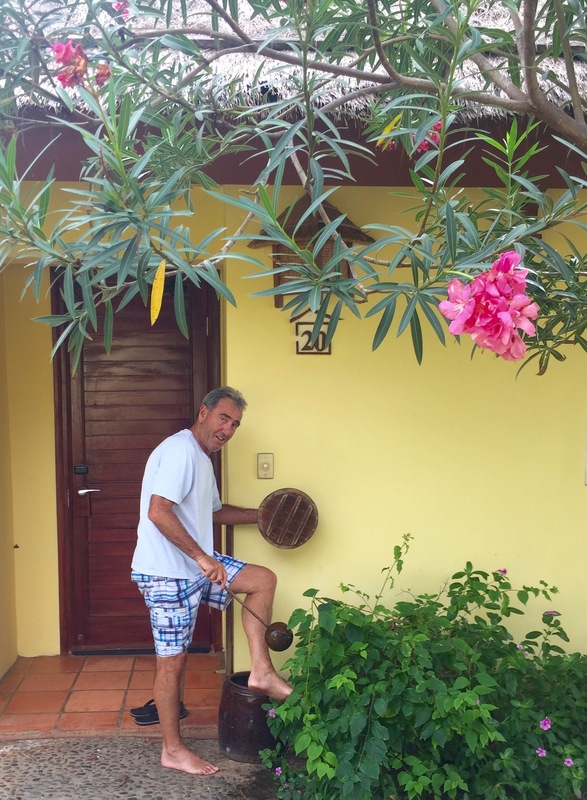 Here’s what I loved about our stay there. We stayed in one of their beach bungalow. A meander down a winding path through lush tropical vegetation takes you to your brightly painted, welcoming home for your stay. 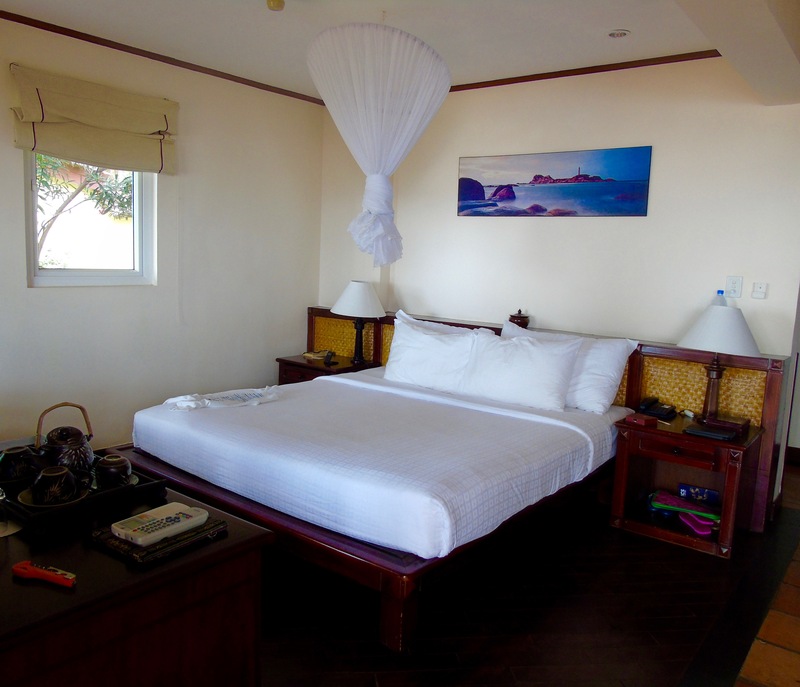 Set right on the edge of the beach – a few steps from the sand – the room was light and spacious with an enormous bed, large wardrobe and generous seating area. The glass doors opened out onto a large patio complete with two amazingly comfortable sun beds and an umbrella. This is where we spent a lot of time reading, sipping wine and just taking in the marvellous view from our verandah. There were good tea and coffee-making facilities, including a range of teas and a fridge which was restocked every day with fresh bottles of water and replacements for anything else you may have drunk. So no issues with in-room refreshments then. 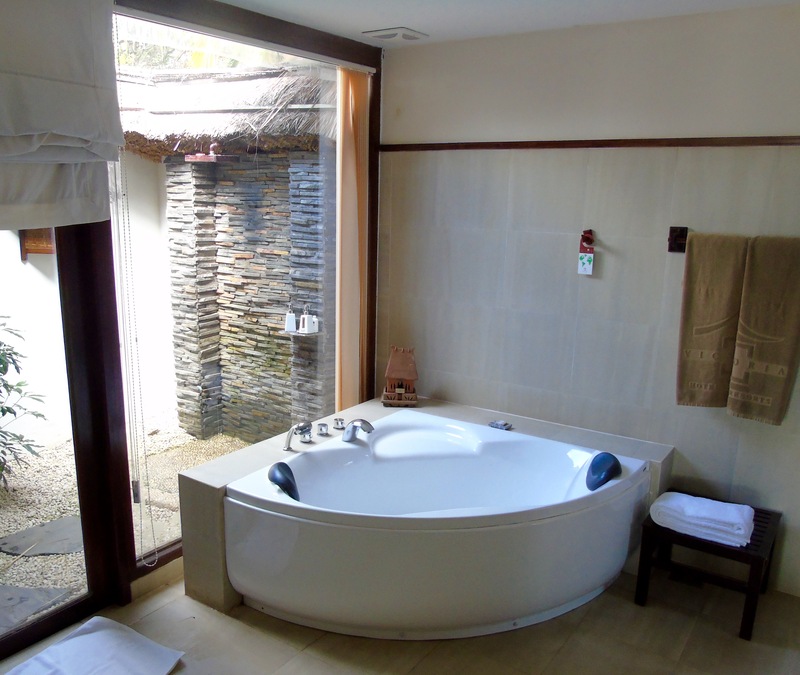 Other essentials (for me anyway) included a safe, plush bathrobes and towels, lovely bathroom products and great wifi. 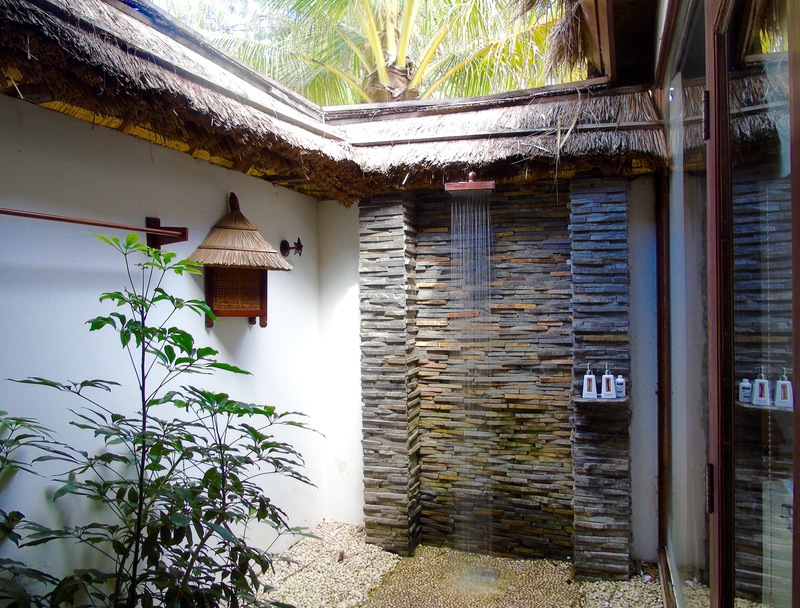 One of the best hotel bathrooms ever…large with a separate toilet, a wonderful corner bath for long bubbly soaks and – best of all – an outside area with a hammock and powerful shower. The joys of waking up every day and opening the curtains to look through palm trees across the beach to the vast South China Sea. And as the sun set every day the little lights along the beach came on turning our beach view into a twinkling, magical land. As well as the warm, inviting sea to swim in there were two pools, never crowded while we were there. Both had waiter service so you could lie back and enjoy lunch or a cocktail in the sun. The infinity pool at the top of the resort is perfect for getting in your lengths. This is a hotel with food in a league of its own with a genius chef. 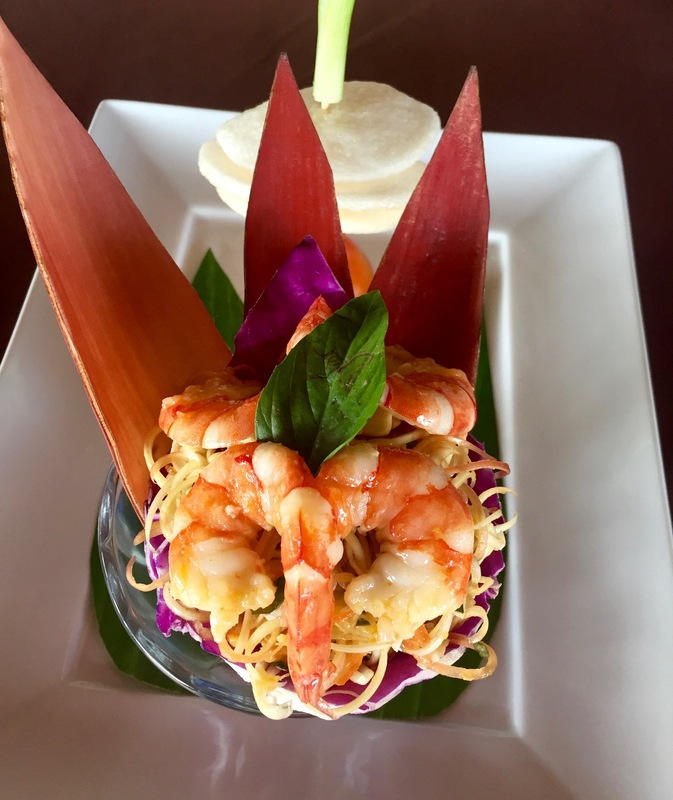 From the vast breakfast buffets to the amazing dinner menu with a selection of Vietnamese and Western dishes, there are plenty of exciting flavours to discover. Chef Hoang is always on hand making sure things are running smoothly when he’s not cooking in the kitchen. The first couple of breakfasts took some serious decision making. 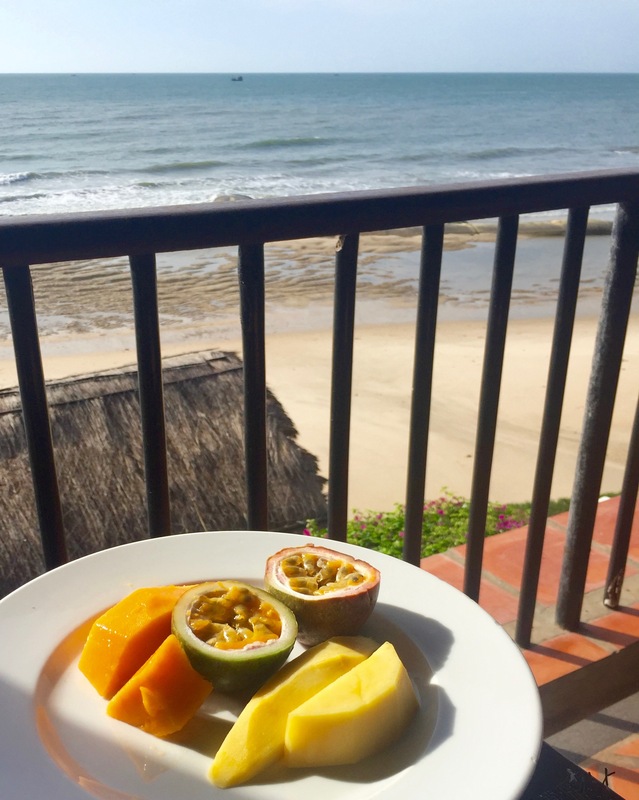 The range of Vietnamese dishes on offer was stupendous – all on top of plenty of pastries, eggs any way you want them and a tropical fruit feast. 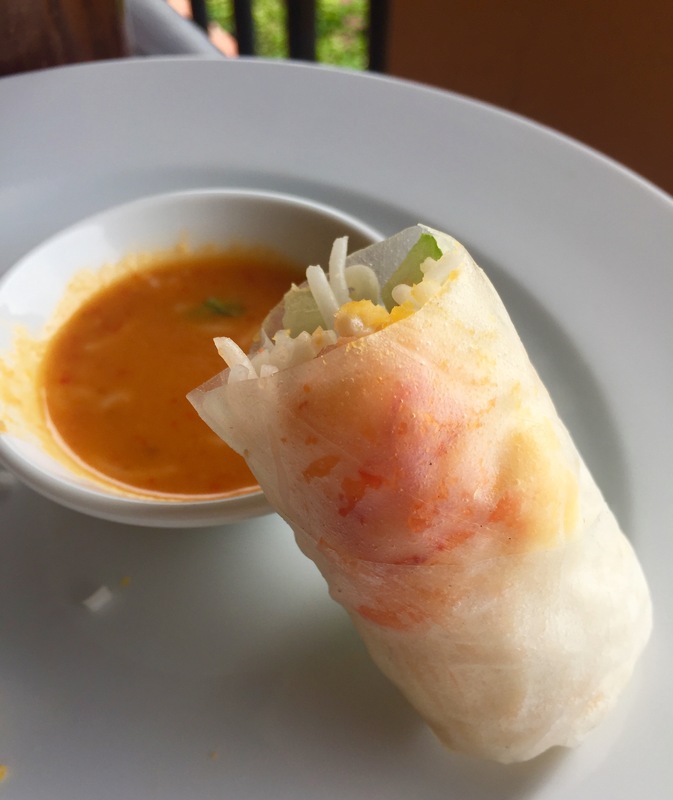 I soon established my favourites – and tucked into fresh Vietnamese rolls every morning, filled with prawns, vegetables and herbs and dipped into Chef’s delicious, spicy peanut sauce. We pored over the menu every night carefully choosing different dishes until we’d pretty much gone through it all. We tucked into delightful salads with Chef’s secret dressing, fresh fish and wonderful pork and duck dishes. On our last night Chef Hoang made us a special dinner. 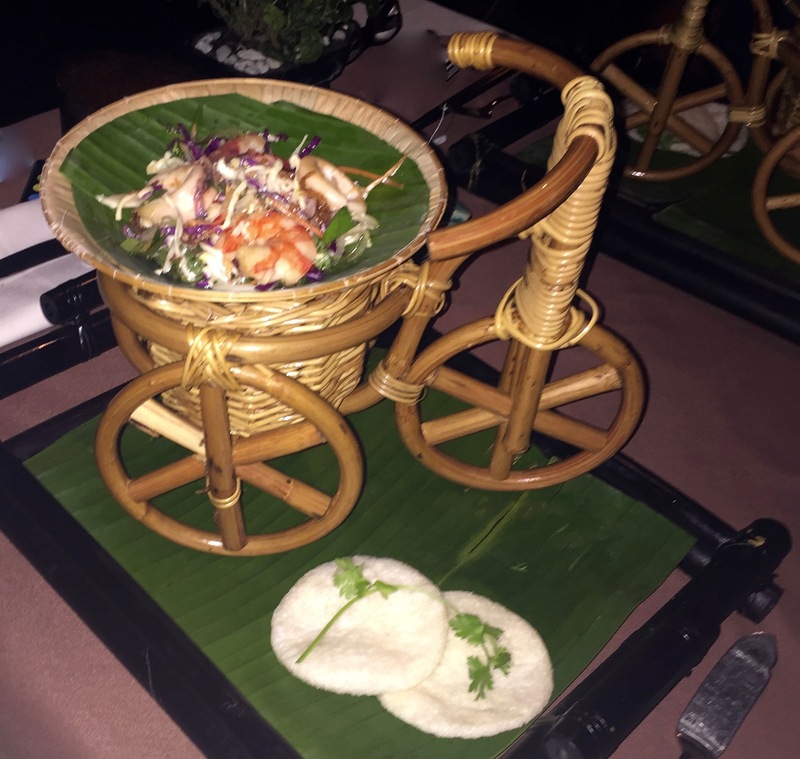 We started with his special prawn salad served on banana leaves in these lovely bamboo bicycles (love the presentation). And for mains he specially selected a grouper for us from the market that morning. 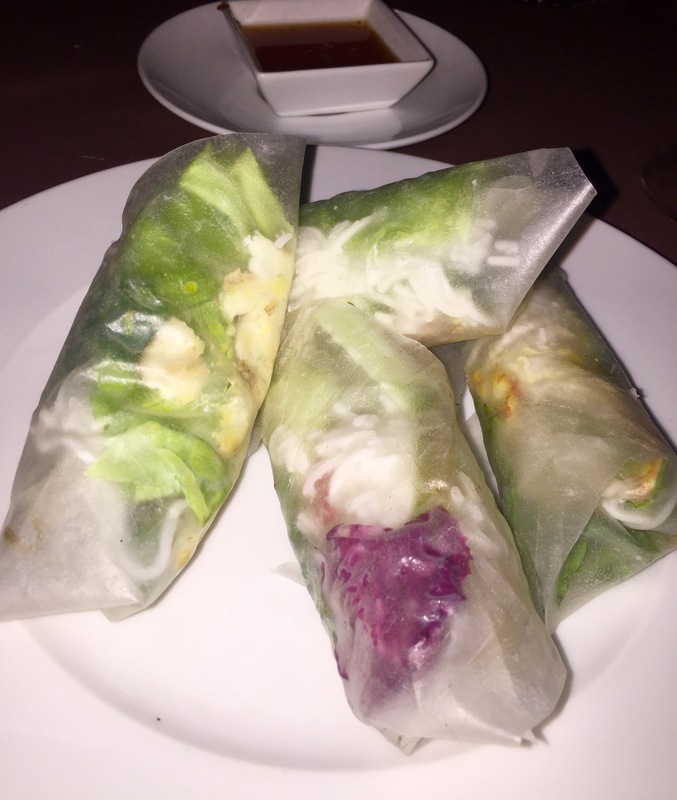 It was baked in a tangy sauce and parcelled into rice papers with herbs, noodles and vegetables added at the table. A real ceremony. Okay everyone knows I’m a real beach baby, so I was in complete heaven here. The whole of hotel life is focused around the beach. 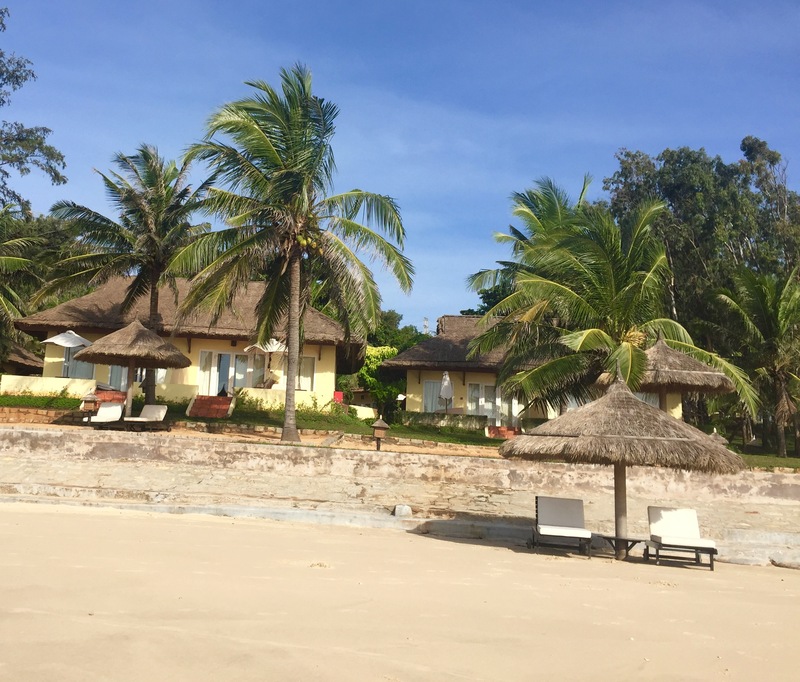 You eat looking out to sea, open your curtains to the beach, exercise by walking along the beach…and it’s all rather quiet as the beach is private to the hotel. My favourite time of day was sunset, which happens early in Vietnam – around 5pm. The beach became bathed in golden lights and shades of orange and pink. We signed up for a food and cooking excursion. Awakening early we headed into the harbour with our guide, Lam and Chef Hoang. The catch of the day was coming in and the negotiations were in full swing as people heckled over prices – the women take delivery of the catch from the men and do all the bargaining. From there we headed to the colourful market in the centre of town with it’s beautiful piles of tropical fruit, fish galore and every cut of meat you could need. Plus all those random household necessities dotted throughout. On the way home we stopped off at the local fish sauce factory where Lam explained the vast quantities of fish sauce consumed by the Vietnamese – it’s used in so many of their dishes. 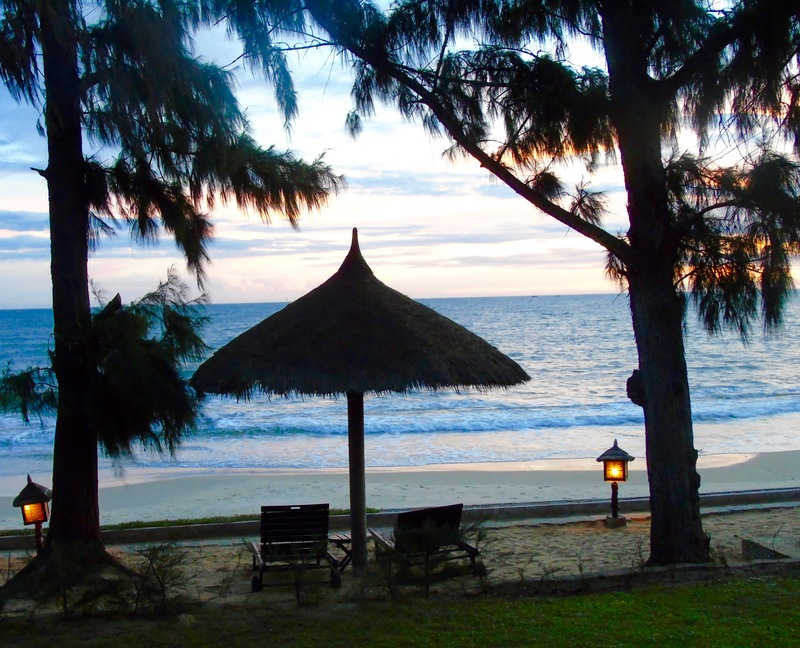 On our return to the hotel we headed for our cookery course in the beautiful thatched gazebo on the beach. 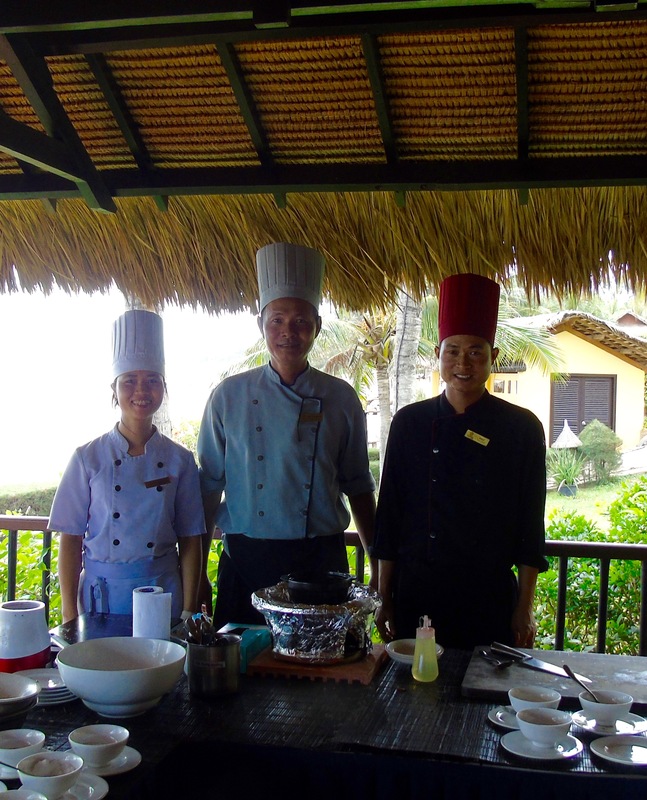 Chef Hoang and two of his chefs cooked us a delightful lunch which we ate overlooking the beach. Nothing like having three chefs cook you a private lunch! We left armed with a tasty collection of Vietnames recipes, including one for his secret salad dressing. I really must make that soon, it’s fabulous. And no, my lips are sealed. 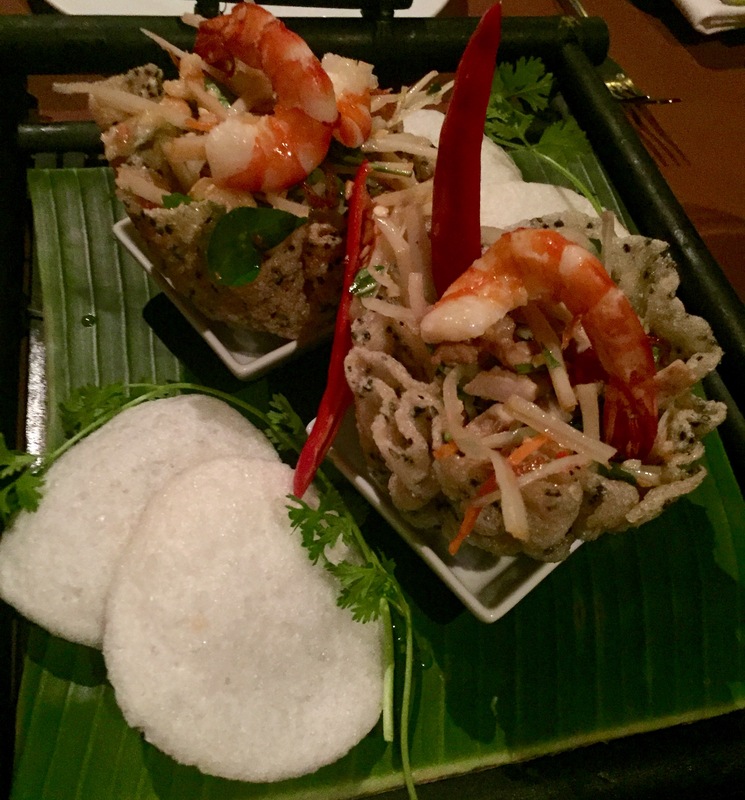 Here’s the amazing prawn and banana flower starter they made specially for us. How exotic is that? The service at the Victoria is impeccable. We were so well looked after by everyone, from the front desk, waiters, chefs, masseurs, cleaners and gardeners. There were smiling, happy faces everywhere and nothing was too much trouble. We had excellent massages in the open-fronted spa, with sea breezes and crashing waves providing the background to our indulgent treatments. Vietnamese massages are slightly less harsh than my experience of Thai ones, making it a perfectly relaxing experience while also getting rid of all those long-haul-flight induced knots. I also had a lovely manicure – the staff were expert and prices good value. 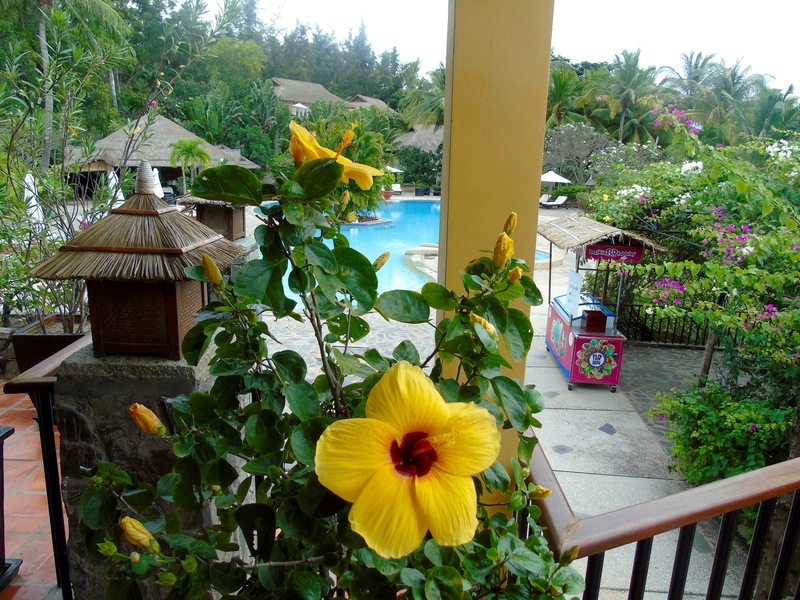 The beach bungalows are sprinkled through the most beautiful and lovingly tended gardens. Perfect green lawns punctuated by our sunny yellow rooms and tropical trees and flowers including three of my absolute favourites: hibiscus, bougainvillea and frangipani. Okay this is a unique one. 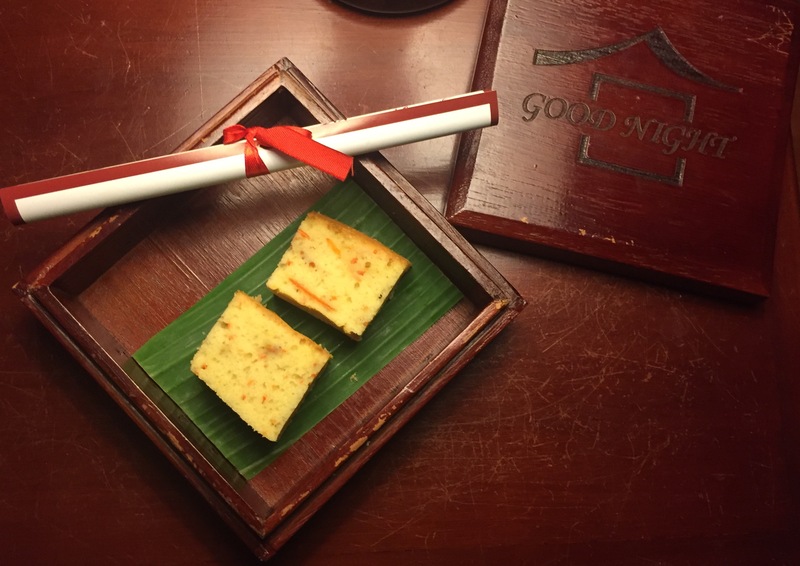 Every night we returned from dinner to discover cake delights in our little wooden box with a rolled up scroll alongside it – our nightly bedtime story. A truly charming touch and a great way to find out more about Vietnamese folklore. Other special touches I loved included the fact that a chilled glass of water was delivered to your bed at the pool or beach as soon as you sat down – why doesn’t every hotel do this? 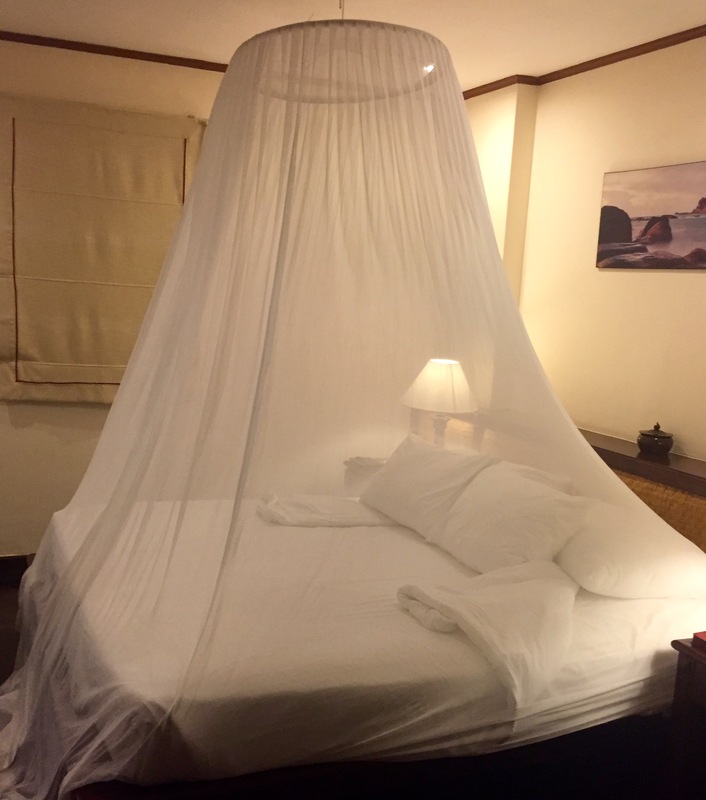 And the towels were extra large – having been specially made to perfectly cover the cushion on the wonderfully comfortable beach beds. 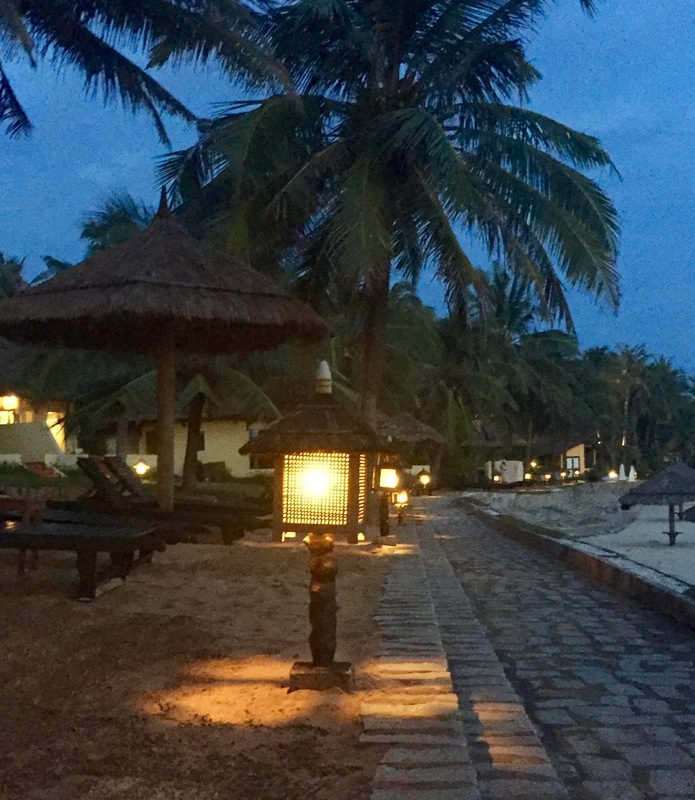 The Victoria Phan Thiet Beach Resort and Spa is the sort of place where you walk around with a smile on your face all day. Its beautiful and relaxing environment is made even more idyllic by the combination of smiley service and wonderful food. It was a sad day indeed when we had to say goodbye and head off on the next leg of our adventure to Saigon, which you can read about here. We organised our trip to Vietnam and Thailand with travel experts Eastravel. They are great to deal with and at the planning stage we spent some time discussing where we would visit and stay – with great results. It was a fabulous, well organised trip. You can read more about Vietnam and Thailand soon. Watch this space. Have you been to Vietnam? What was your favourite thing about it? Do get in touch, I’d love to hear from you. 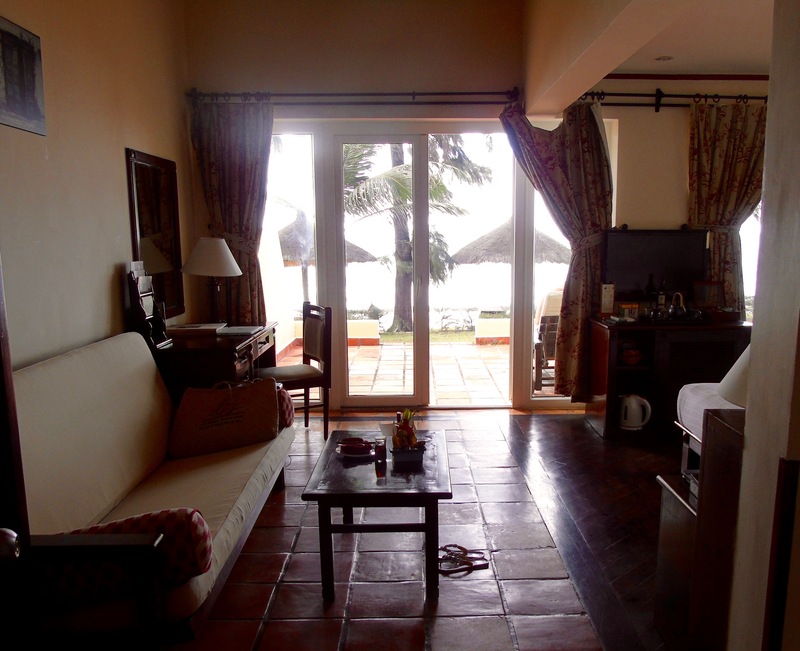 Glad you enjoyed it Agness, you will love it in Phan Thiet. Thanks so much Agness, I really loved the country and would like to explore more. Do get in touch if you would like any more information about either of the places I visited.